In the mid-1960s, Jim Steranko burst into the Marvel Age of comics in a BIG way, and the innovative, cinematic techniques he introduced in his brief tenure at The House of Ideas stand to this day as a high-water mark in the history of graphic storytelling. 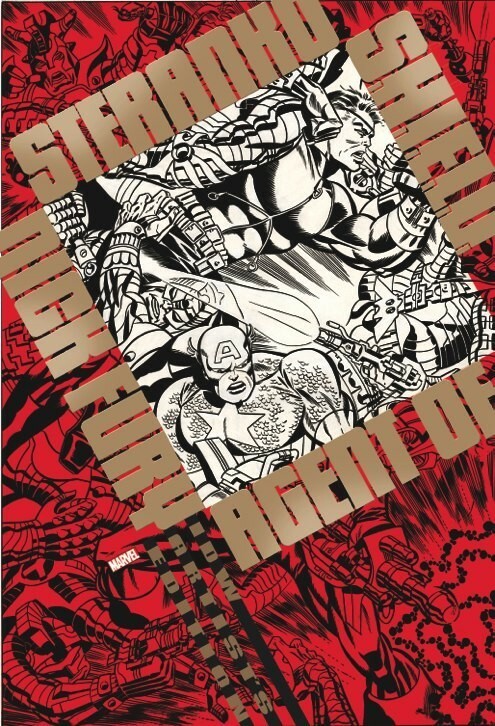 More than any other series, Steranko is most associated with Nick Fury: Agent of S.H.I.E.L.D. 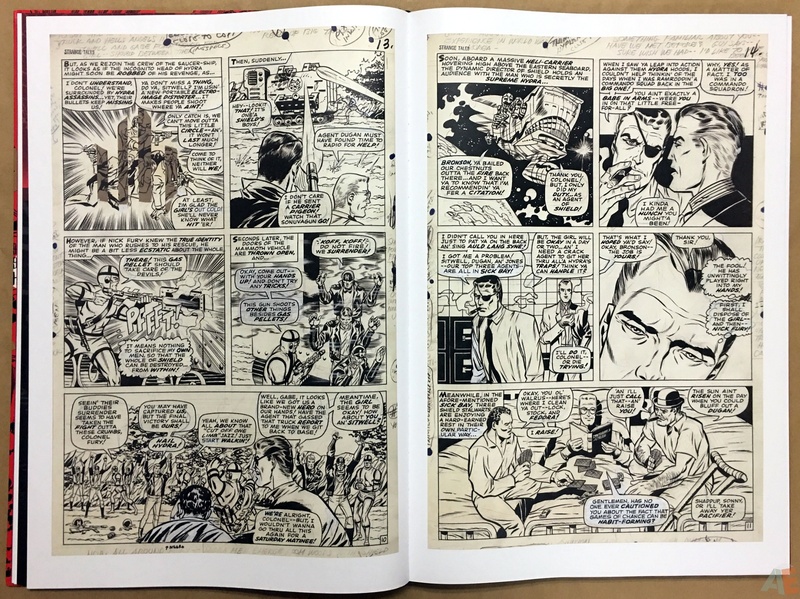 This Artist’s Edition collects the first 12 stories of Steranko’s run, from Strange Tales #151 — #162, as well as all his covers from these issues. Additionally, there will be a select number of extras presented. 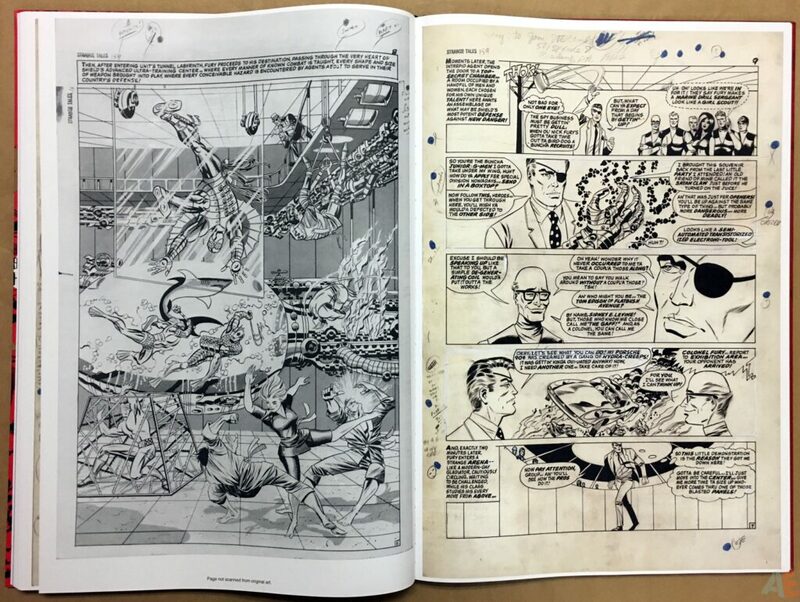 And, as usual, nearly all the pages have been scanned from the original art, from Steranko’s private archives. 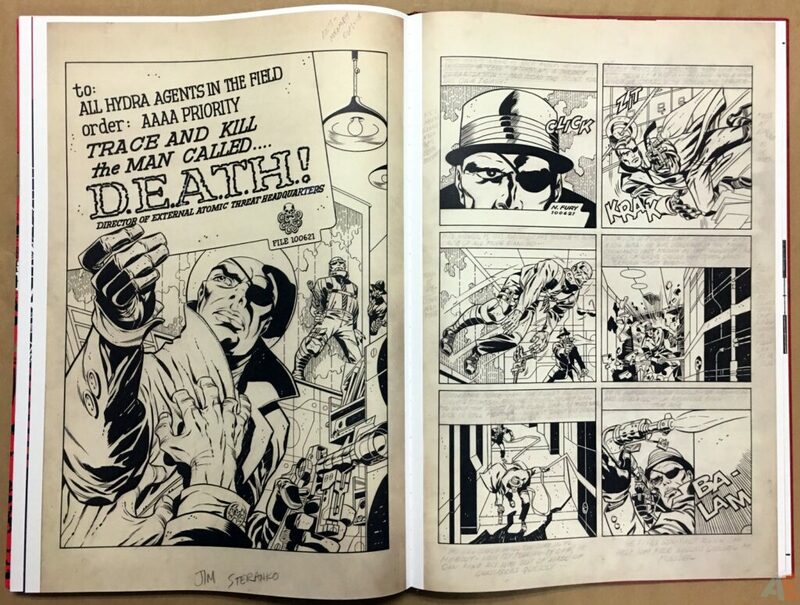 Stunning, jaw-dropping gorgeous work presented in its original size, Steranko Nick Fury Agent Of S.H.I.E.L.D. 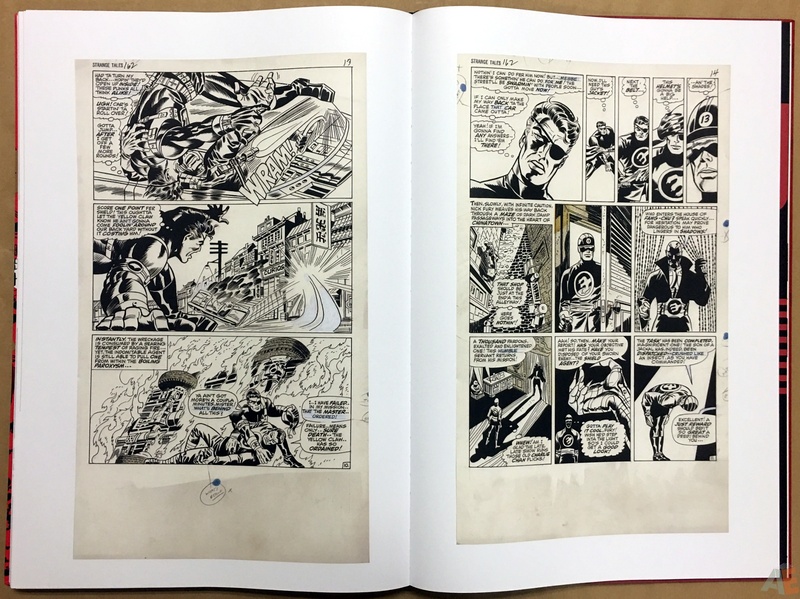 Artist’s Edition is without peer. 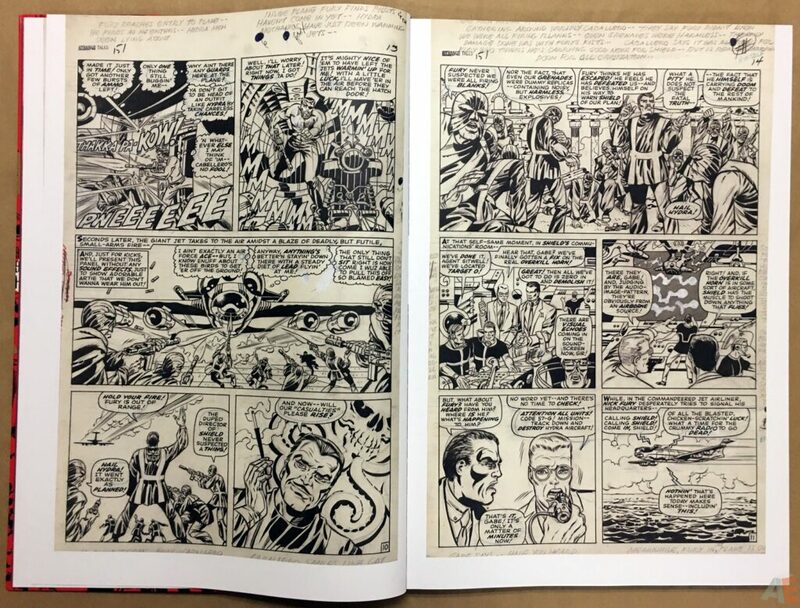 Not only are readers treated to watching Steranko’s style develop over a dozen issues, the first three feature layouts by Jack Kirby. 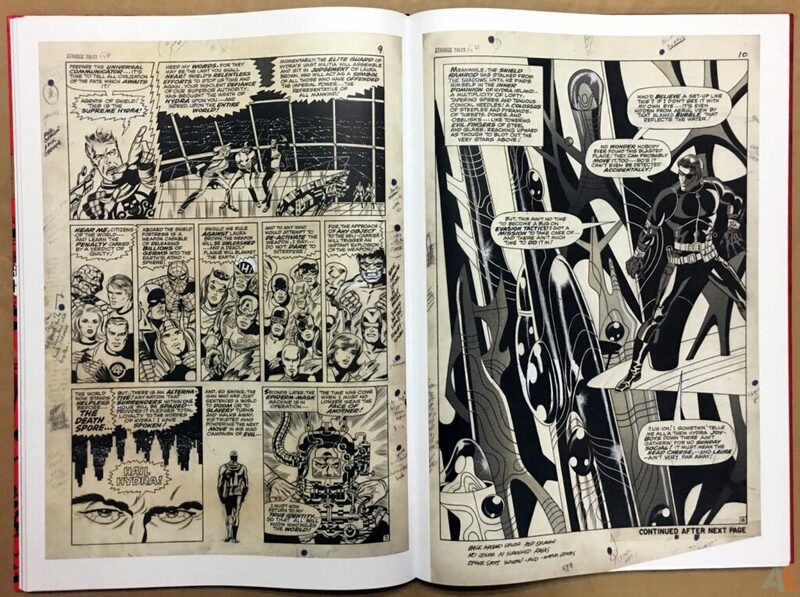 Interestingly Kirby’s layouts seem to hinder Steranko’s style more than assist it, and good things start appearing on paper once it’s all Jim. 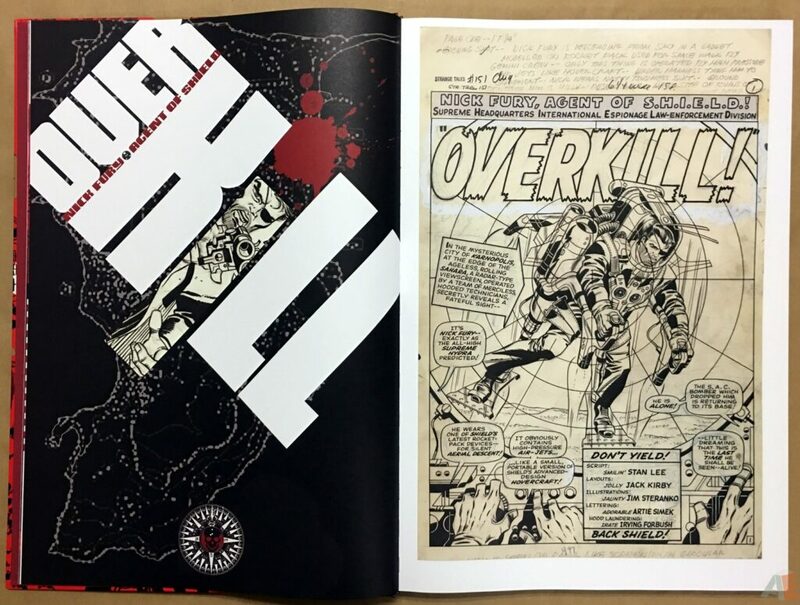 IDW continues to produce a top quality item at a top quality price. 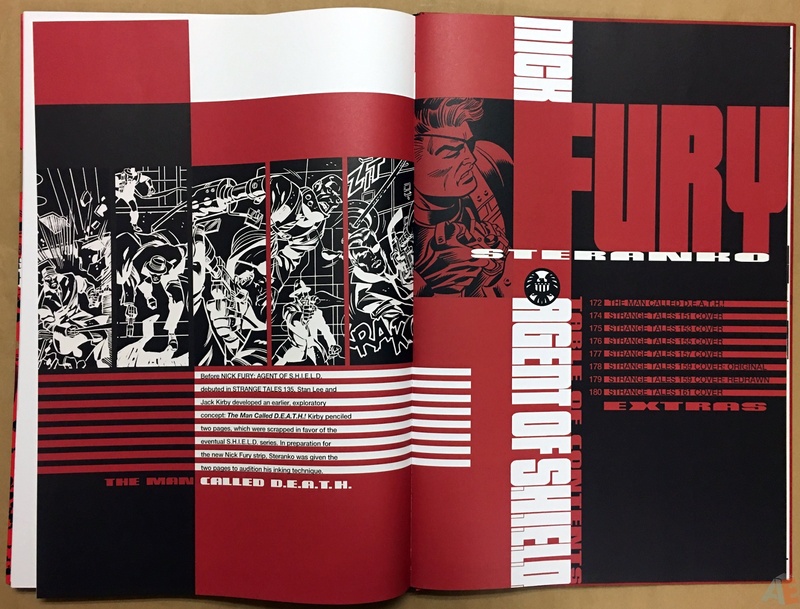 Very thick paper stock and smythe sewn binding provide a well produced volume that lays flat and allows for non-restrictive reading. 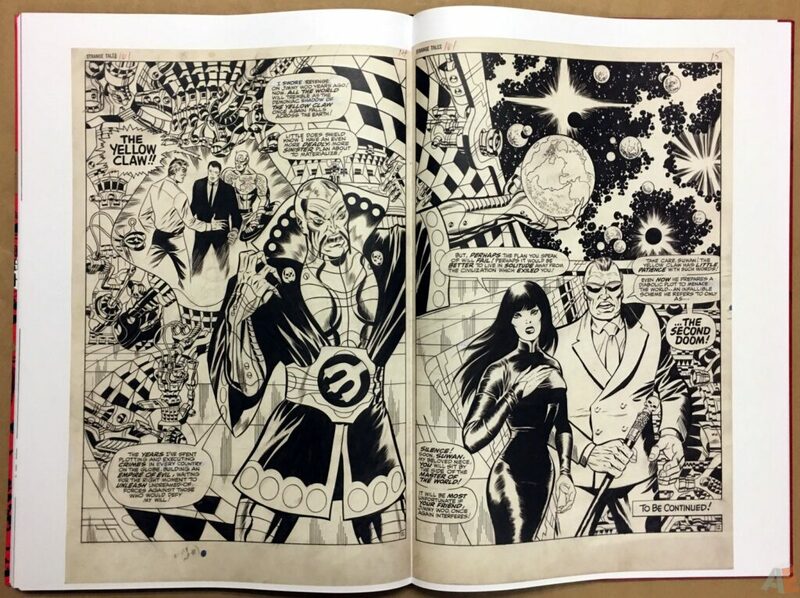 Or at least as humanly possible, since this book is 15×22 inches and can only be read on a flat surface. Let’s address that title: no typo there, throughout this volume Jim or James Steranko is only addressed as “Steranko”, so it seems he’s taken the celebrity singular name and follows in the footsteps of Cher and Madonna. 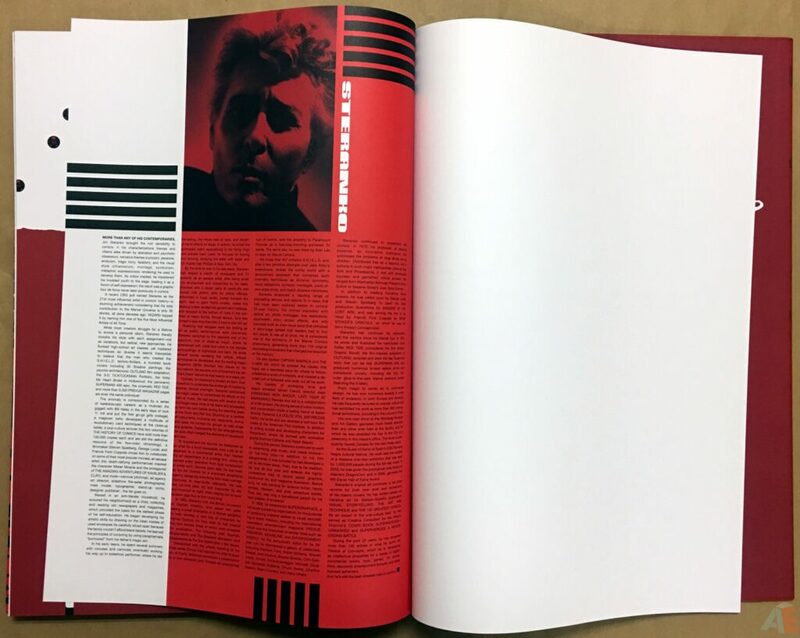 Title, credits page, even biography all indicate Steranko only. 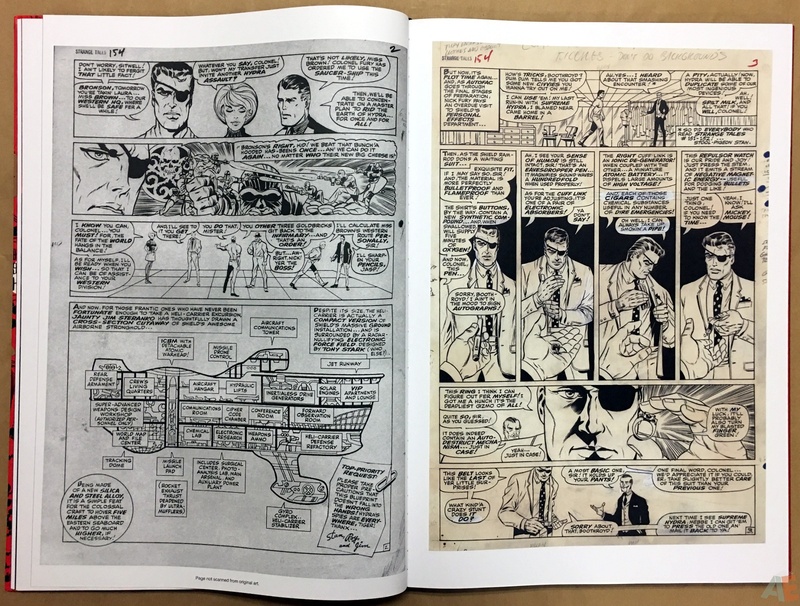 At least the text of the biography refers to Jim Steranko. 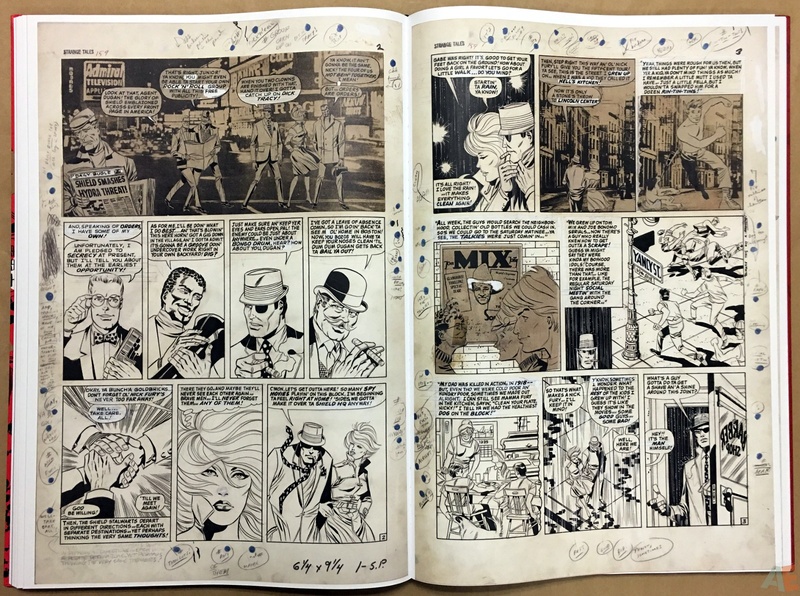 This volume has a few firsts for the Artist’s Edition line, the first being designed by the artist. 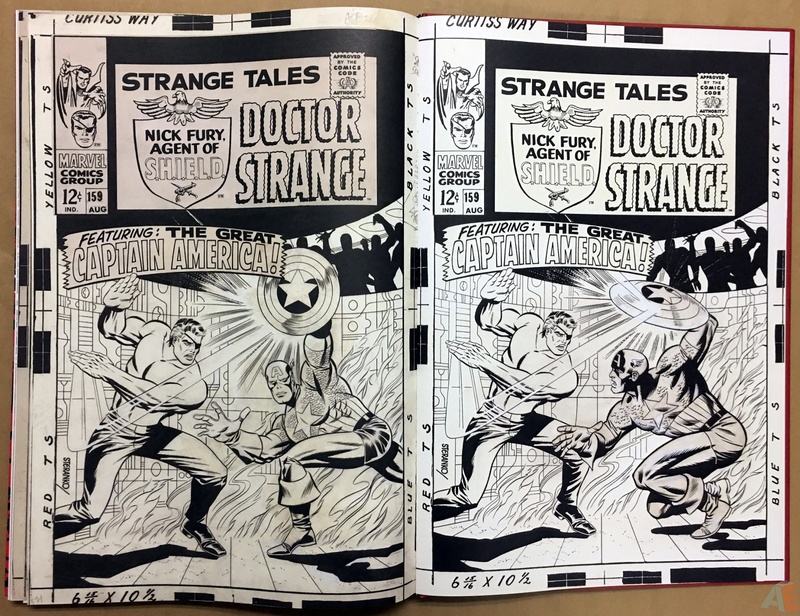 Instead of using the very talented Randy Dahlk Steranko himself designed the endpapers, credits, index and chapter dividers and cover. 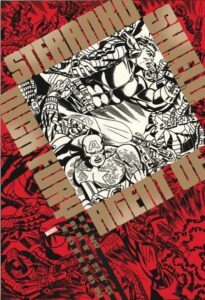 They are intensely red and scream late Steranko, but this book is about early Steranko and as such almost clash with the material. 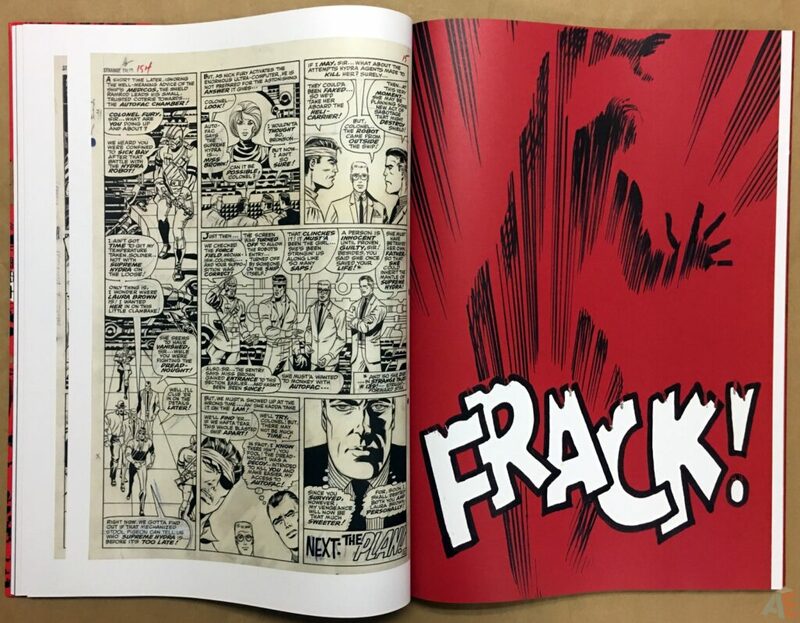 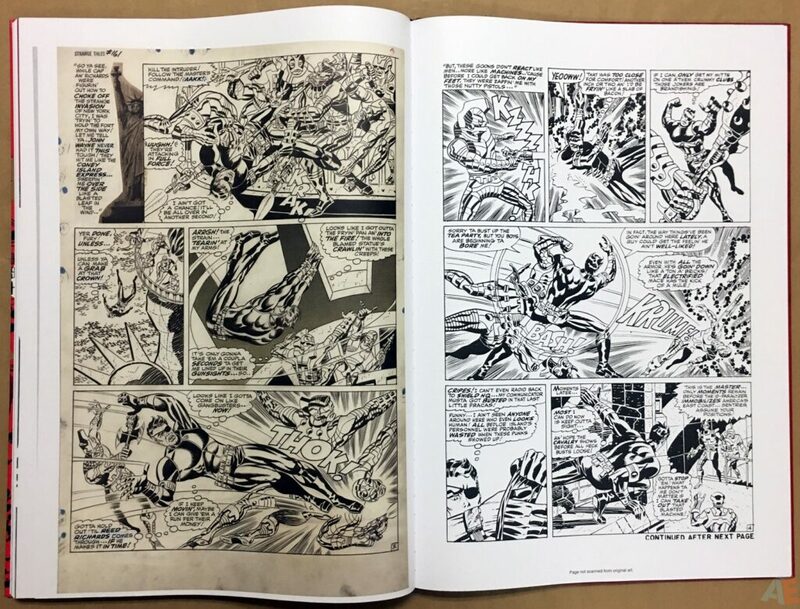 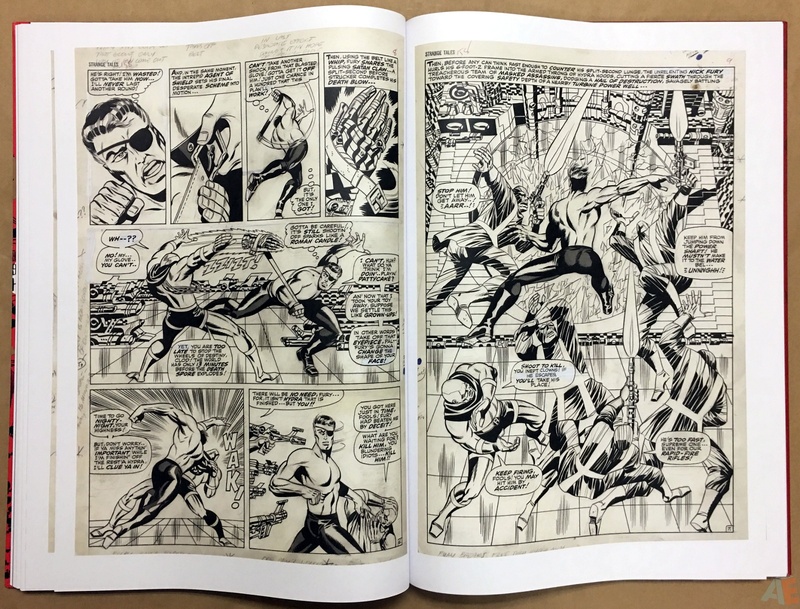 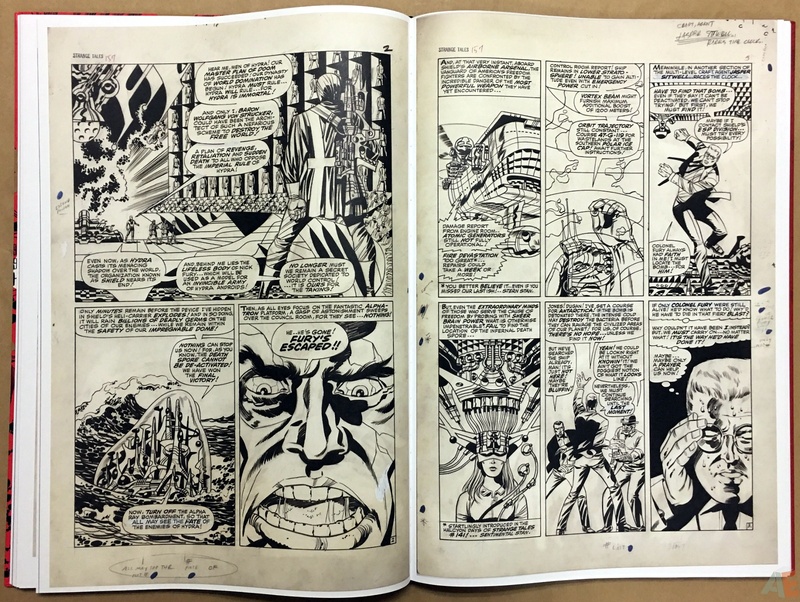 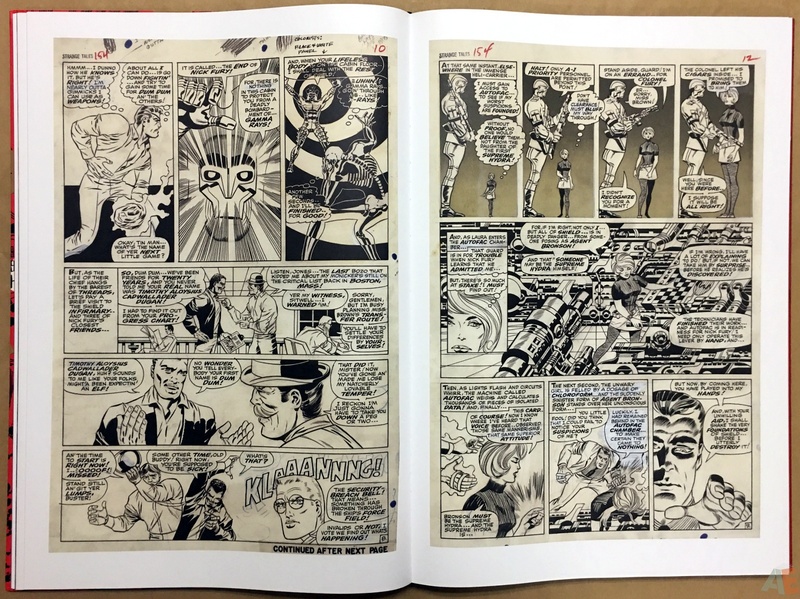 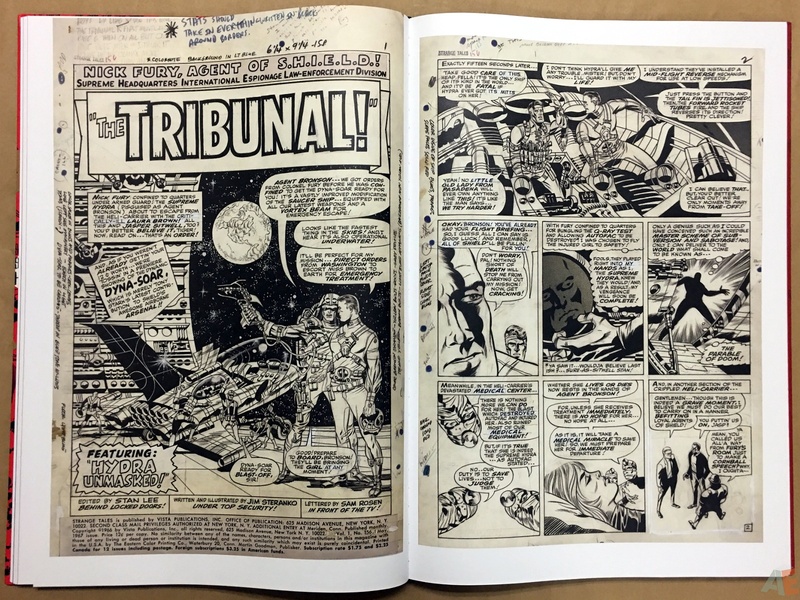 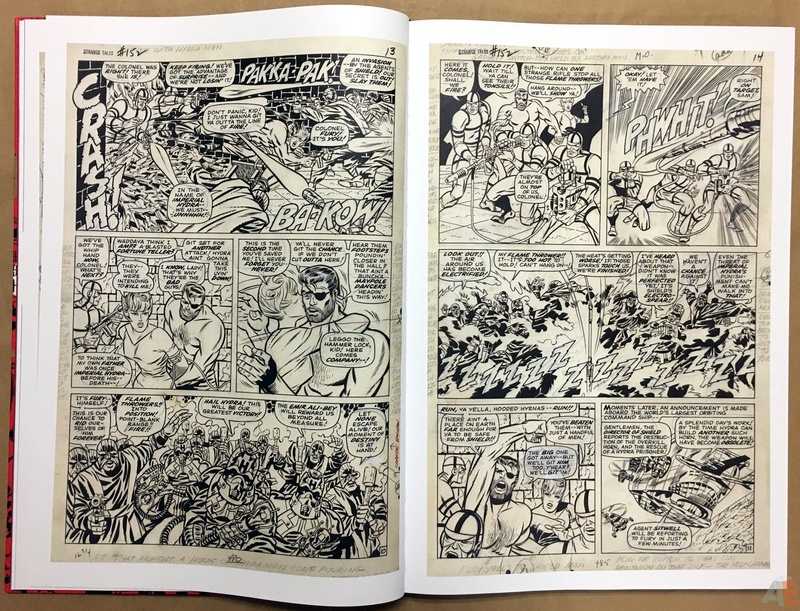 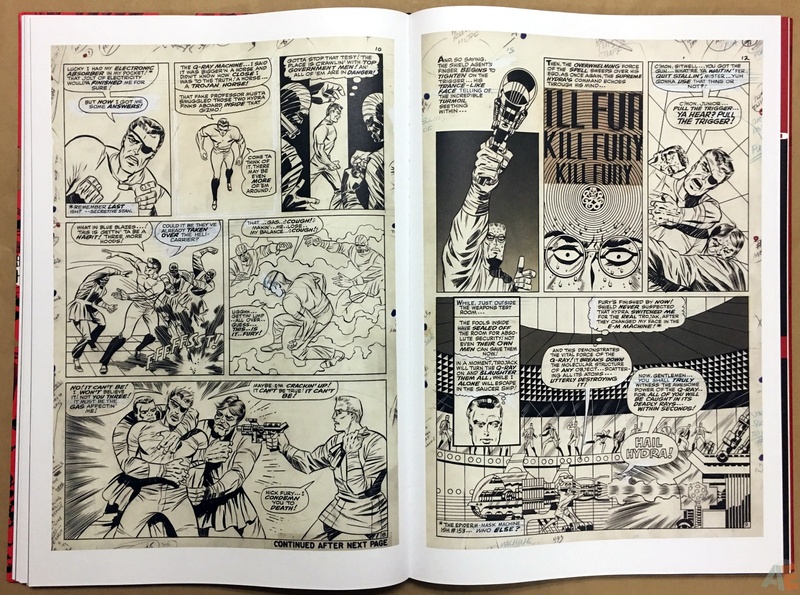 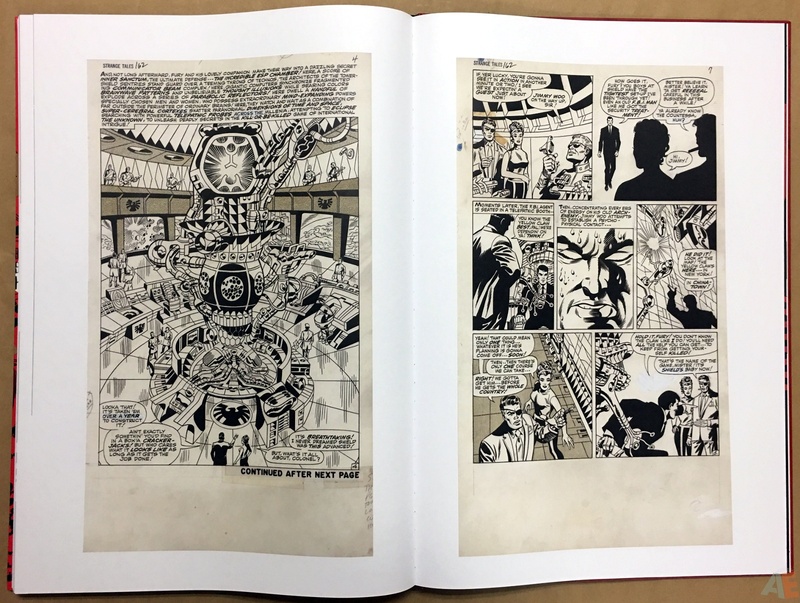 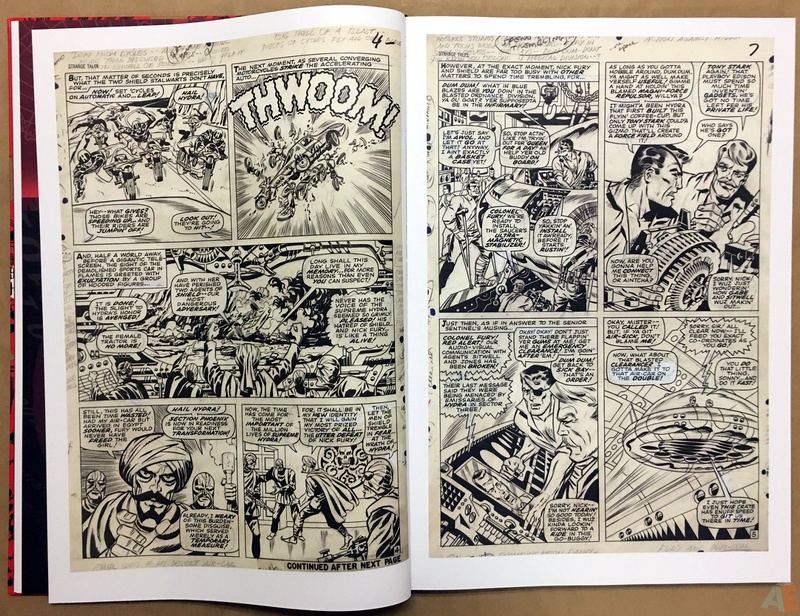 Original page size changes with the last issue included: with page two of Strange Tales issue 162 it shifts to the modern art size. 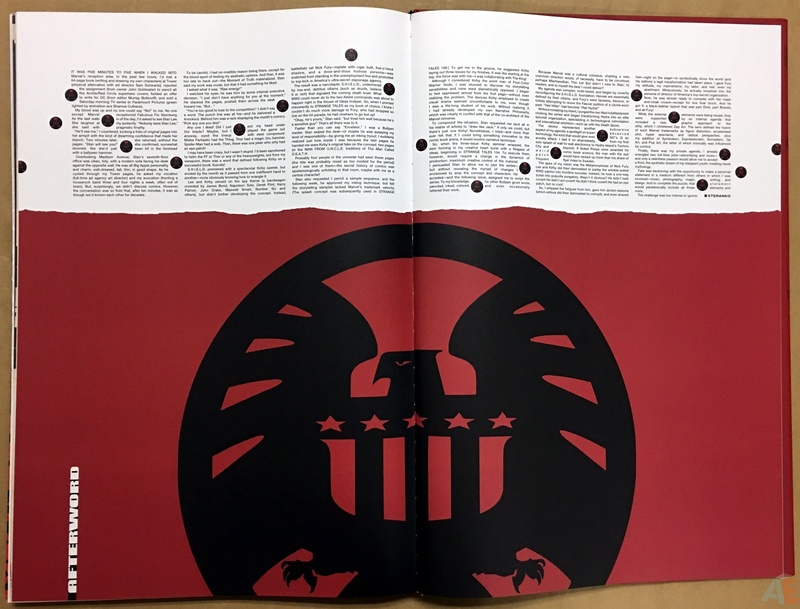 It’s a dramatic difference as you turn the page. 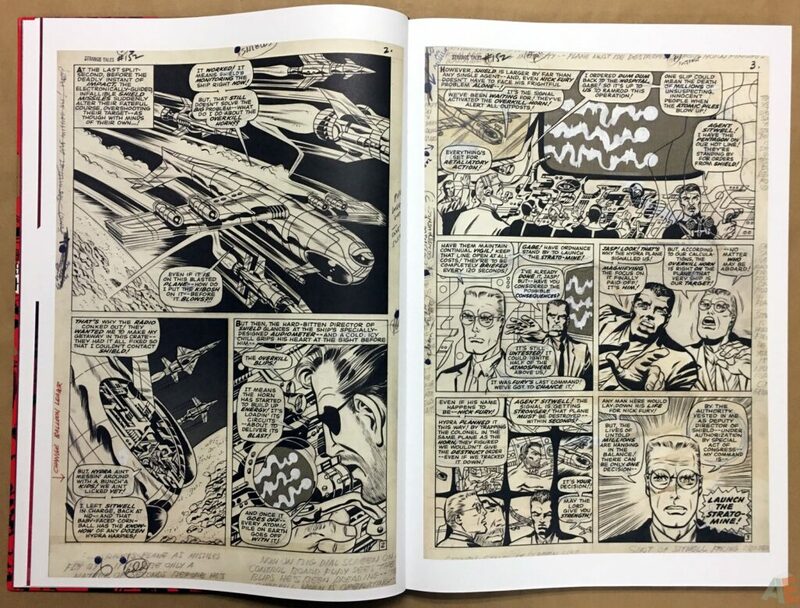 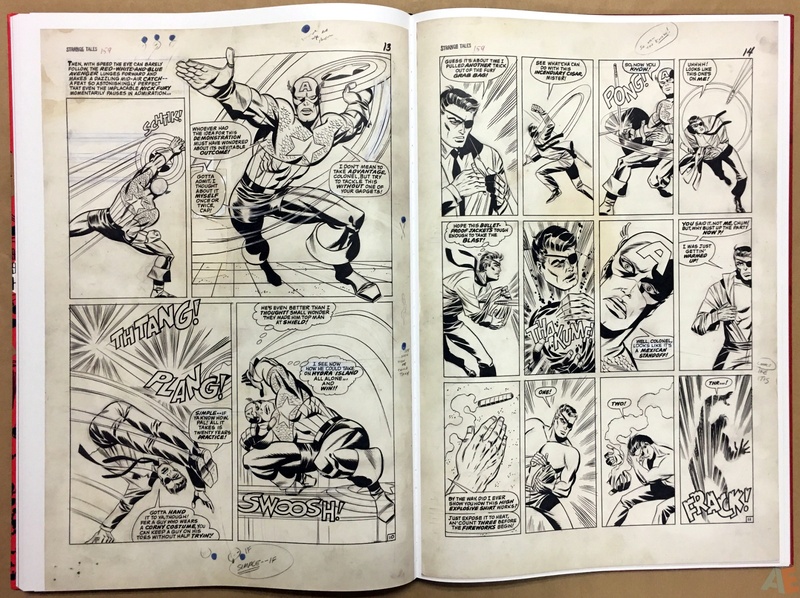 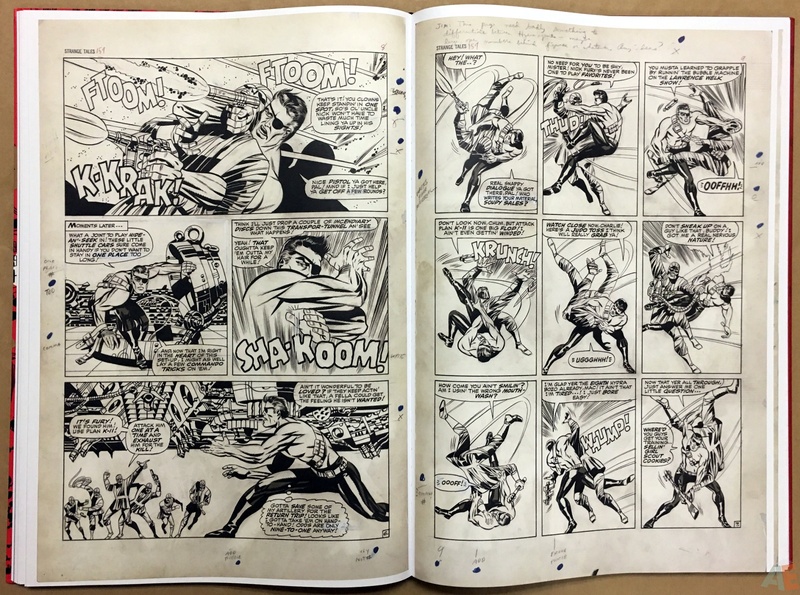 Almost all pages are from Steranko’s personal files and are very clean with slight to heavy yellowing. 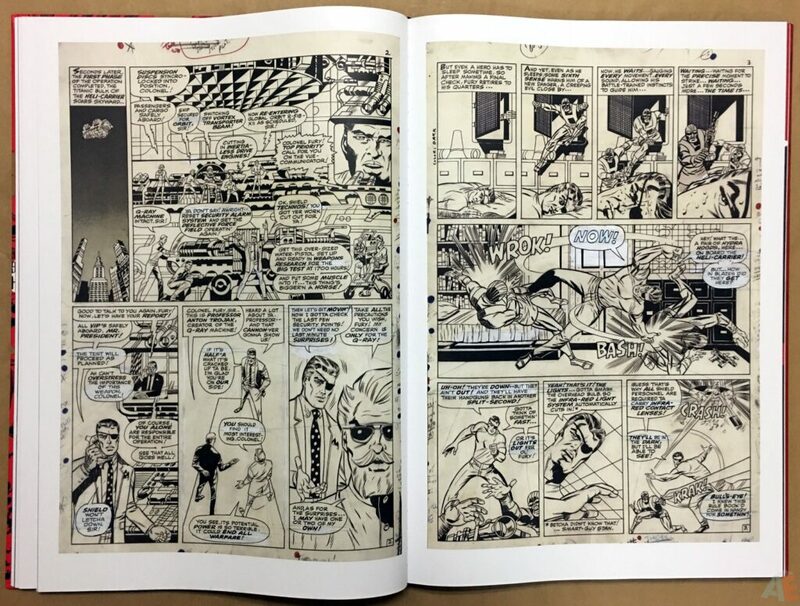 As well there are quite a few pages of original art that look like photostats, in fact most of issue 160, labeled “Page not scanned from original art”. 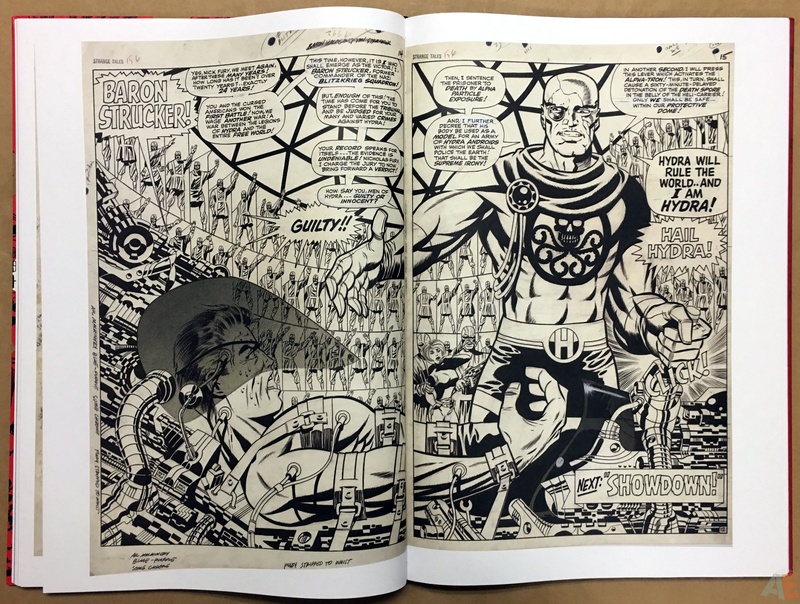 There is only one page recreated from the published comic with colour removed. 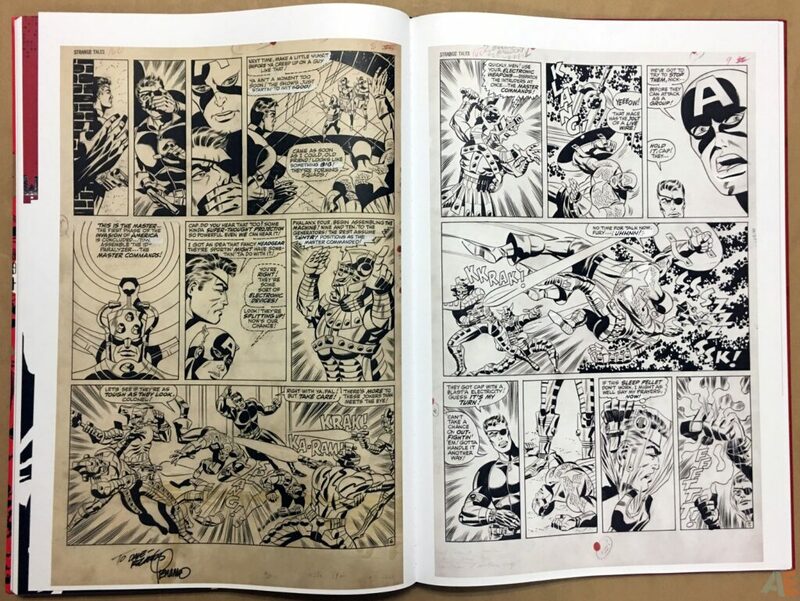 The scanned file pages are clear and crisp, the photostats slightly blurry. 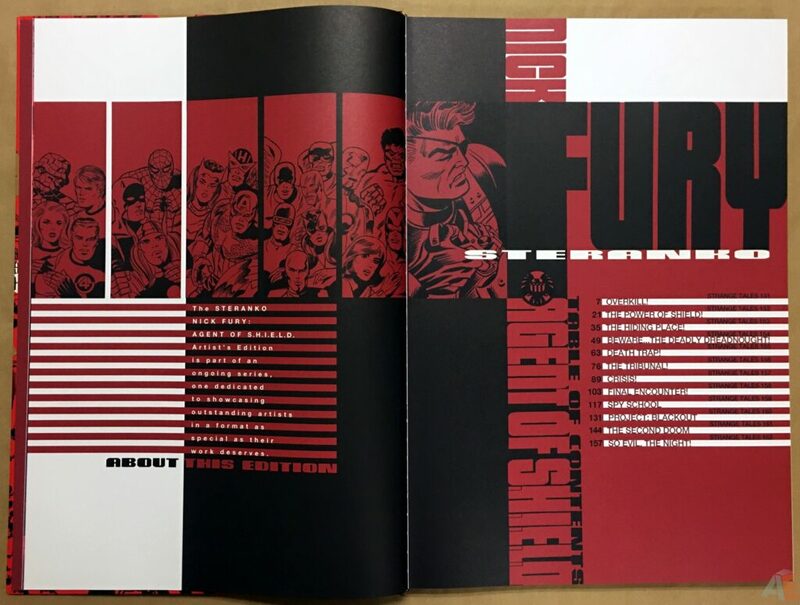 Steranko Nick Fury Agent of S.H.I.E.L.D. Artist’s Edition is this artist’s first works at Marvel. 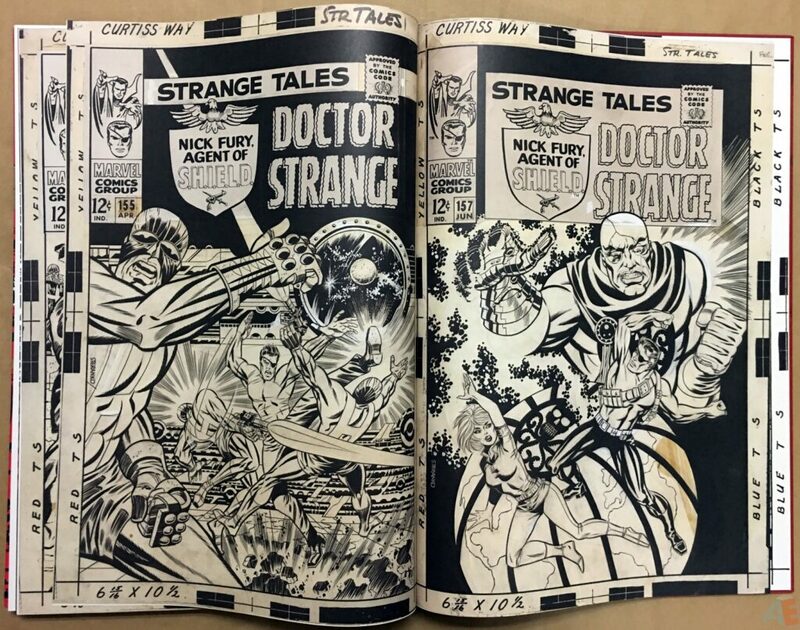 IDW is preparing a second volume completing the Strange Tales stories and including Nick Fury and Captain America, arguably Steranko at the height of his talent. 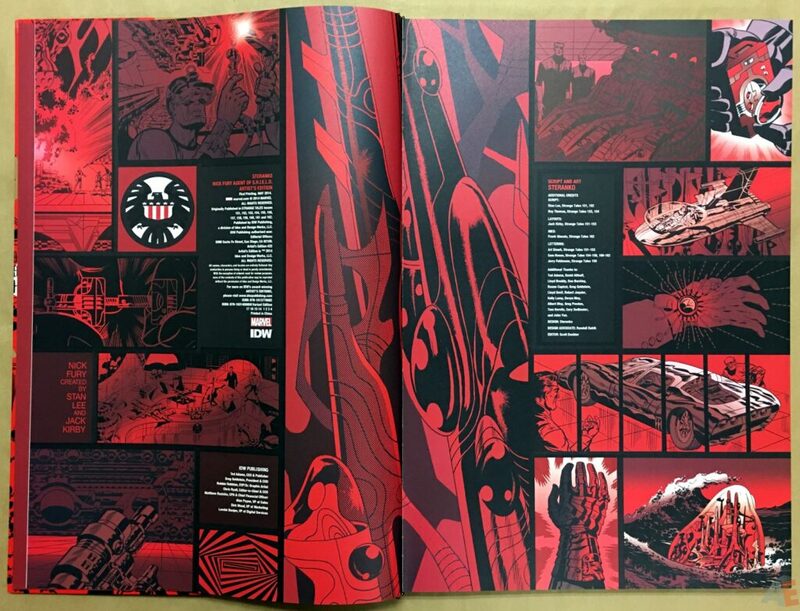 I can’t wait.